ABS Master Smith, David Anders crafted this Southwestern Style Bowie. 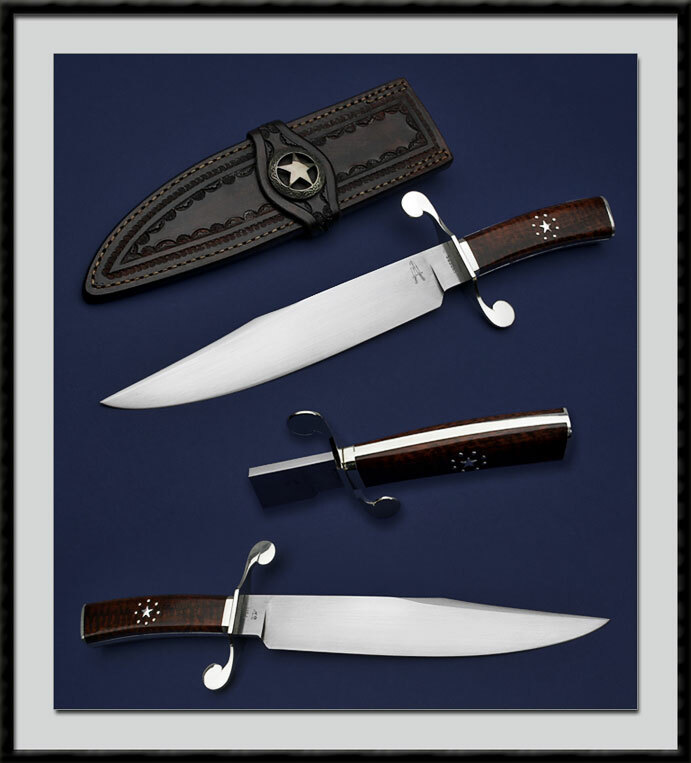 Blade steel is 1084, BL = 9 5/8", OAL = 14 1/2", unsharpened Clip, Nickel silver "S" Guard and fittings, Snake wood slab handle accented by the "Lone Star of Texas". Comes with the Kenny Rowe sheath pictured. Condition is Mint.